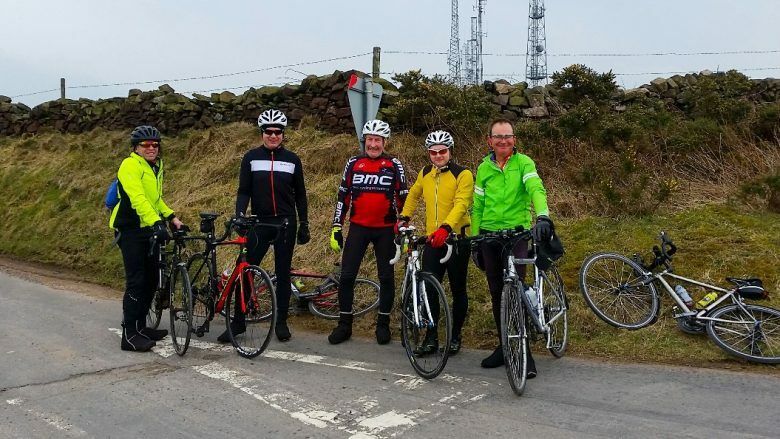 This year`s Spring Ride was on Saturday 7th April. There were two routes on offer but the riders chose the longer route. Riders meet at the Wheatbridge Cafe at 9am for coffee and distrubution of route information – and the ride started at 9.30am. The routes on offer where a long ride of 58 miles and a shorter alternative of 44 miles, both rides followed the same route to the refreshment stop at 24 miles which was at the Denby Pottery cafe. The shorter route would have then returned to Chesterfield whilst the longer route continued south to Duffield before returning to Chesterfield via Shottle, Cromford, Tansley, Milltown and Wingerworth.